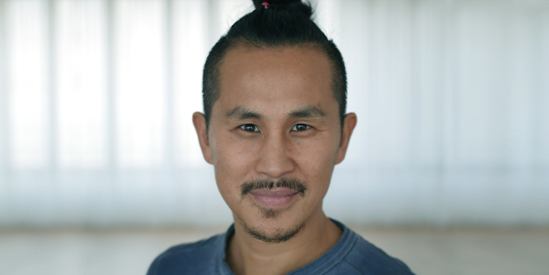 A yoga teacher whose passion for and in-depth knowledge of yoga has inspired students and teachers all over Europe and Asia, Young Ho Kim is the owner of Germany’s largest and most renowned yoga studio, Inside Yoga. An evolution of the traditional yoga styles, Inside Yoga teaches a dynamic, progressive yoga, as modern and vivid as its founder. The signature class is Inside Flow, which focuses on creative yet harmonious Vinyasa sequences framed by music. His extensive yoga training and life-long experience with training methods from East Asia make Young Ho an expert in the field. Students can expect a combination of challenging physical postures combined with meditative practice and in his lessons, he transports his knowledge to his students in a precise, yet humorous way, teaching them how to use their bodies as a vehicle to restore the connection between body and mind. 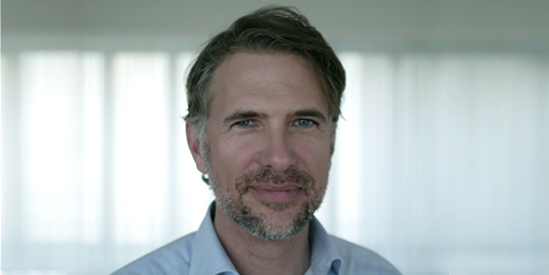 He also brings an innovative approach to sequencing with a particular focus on the use of elegant transitions to combine Asanas in an intelligent, new way. Drawing on his own personal experience and knowledge of the practice, he guides his students on a journey to find themselves and take their practice to the next level. Having grown up in Pusan, South Korea, the teachings of Taekwondo and Zen-Buddhism accompanied him throughout his childhood and still influence him greatly today. As such he has combined all this into his motto, “Inner Balance through intensive Body Work”, which he now conveys to his students. Young Ho Kim can be found teaching weekly classes at the Inside Yoga studio, international workshops on the weekend or organising one of four annual yoga conferences. RWR studied at Frankfurt School of Finance and Management and has been a CEFA Financial Analyst and CFA Charterholder since 2004. He has forged a highly successful career in international investment banking, becoming Managing Director for JP Morgan in London responsible for the management of fixed income sales teams. Prior to that, he held the positions of Team Head and Alpha Portfolio Manager at DEKA Investment, overseeing the analysis and investment of more than 8bn EUR into High Yield and Investment Grade Companies within mutual and pension funds. After 29 years in the industry, his network within the world of finance is far-reaching and his reputation for evaluating and managing credit risk is outstanding. In addition to his extensive knowledge of the financial sector and wealth of experience, he brings depth, insight and a global reach to the TINT. team. And, of course, a passion for yoga.